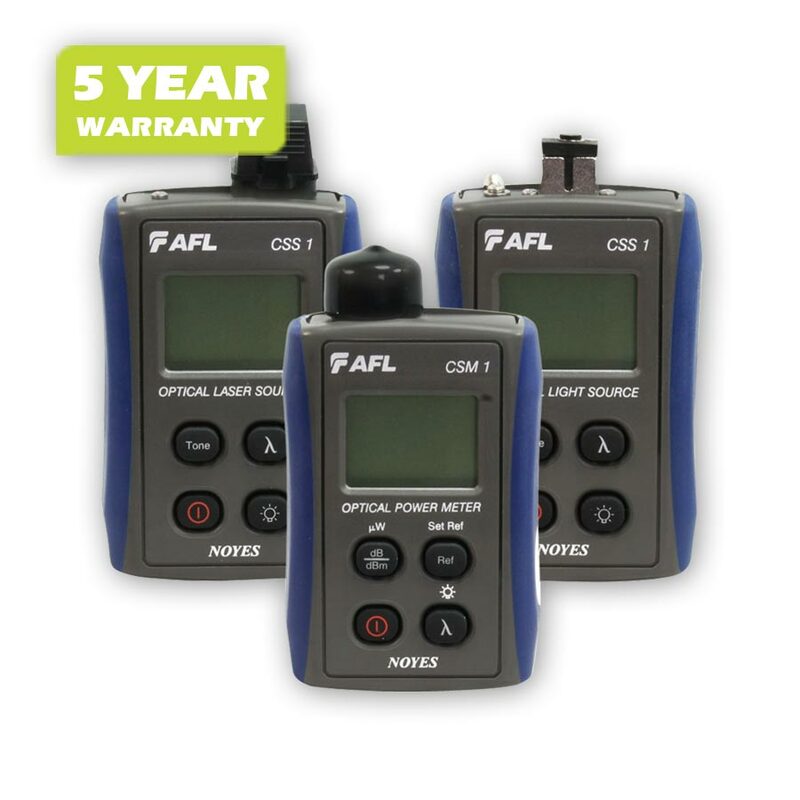 Combining the CSM1-2 optical power meter and CSS1-MM Dual LED light source, the CKM-2 is a cost-effective test kit designed for performing insertion loss measurements on multimode fiber optic links. 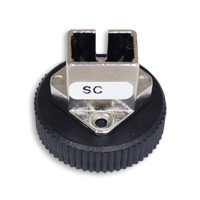 The CSS1-MM Dual light source features 850 nm and 1300 nm LED output from a single output port and offers 2 modes of operation, continuous wave (CW) and user selectable modulated Tone. 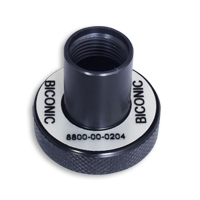 The LED output is stabilized to ensure accurate test results per current TIA/EIA requirements and equipped with a fixed SC connector. 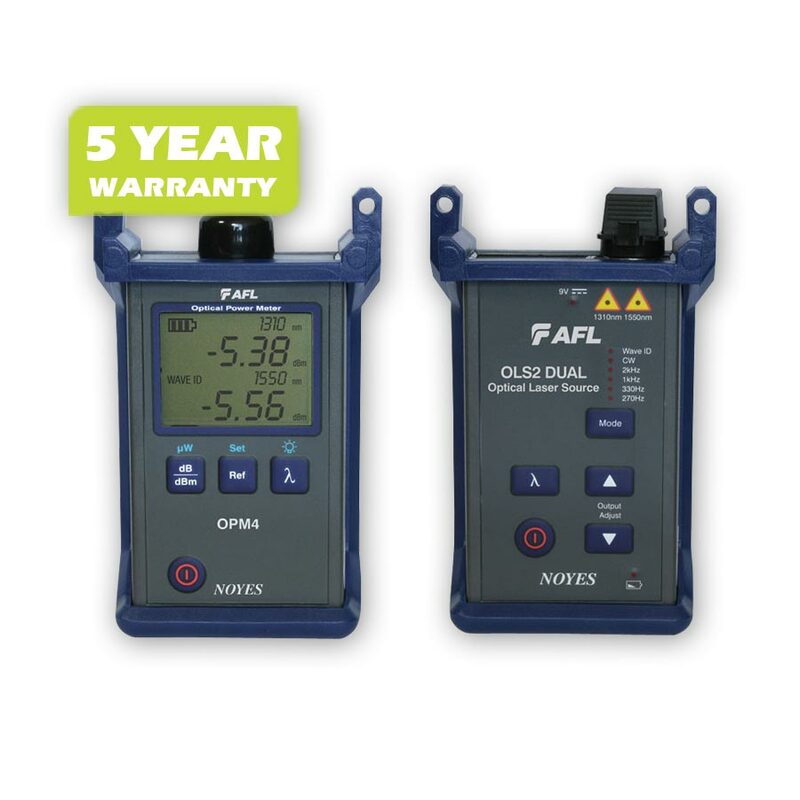 An easy to read LCD display with Backlight shows emitted wavelengths [nm], tone frequency [Hz], and ow battery condition. 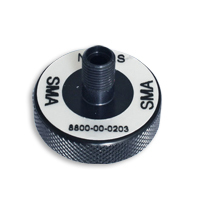 The CSM1-2 optical power meter operates at 850/ 1300/ 1310/ 1550 nm and features multiple test Tone detection for fiber identification. 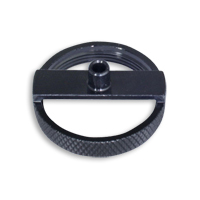 The CSM1-2 stores optical references for each calibrated wavelength. 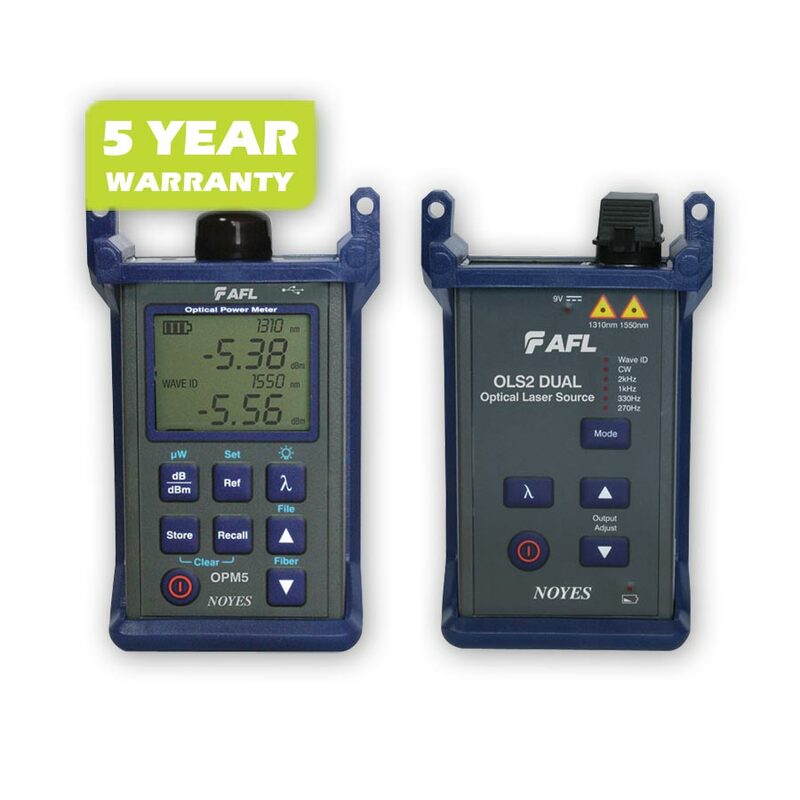 An easy to read LCD display with Backlight shows measured power [dBm or µW] or insertion loss [dB], calibrated wavelengths, tone frequency [Hz], and Low battery condition. 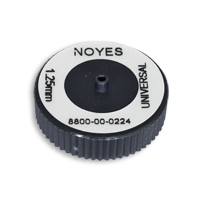 The CSM1 optical input port accepts Noyes thread-on style adapter caps. One adapter cap, 2.5 mm Universal, is included. 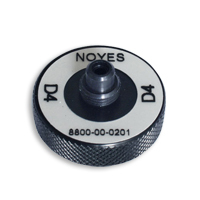 A variety of Noyes thread-on style adapter caps (FC, SC, LC, etc.) may be ordered separately. 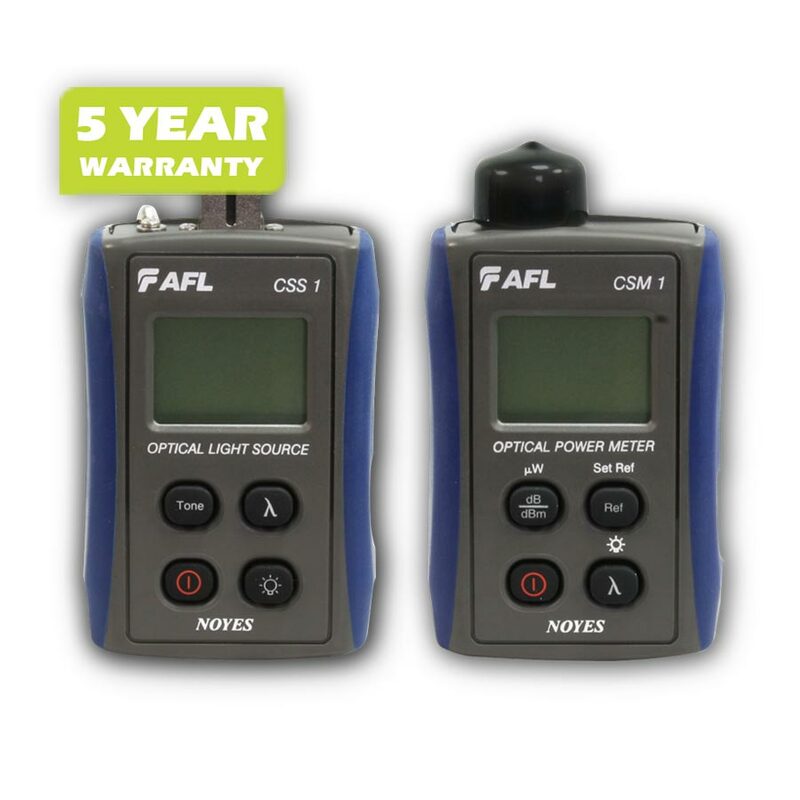 Weighing only 0.4 lb each, both units are compact and convenient for field use.The CSS1-MM Dual LED light source, and CSM1-2 optical power meter are fully N.I.S.T. traceable. 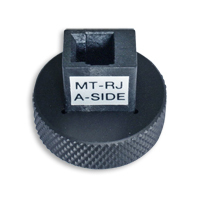 The MLP1 Test Kits are inexpensive solutions for testing multimode and single-mode systems. 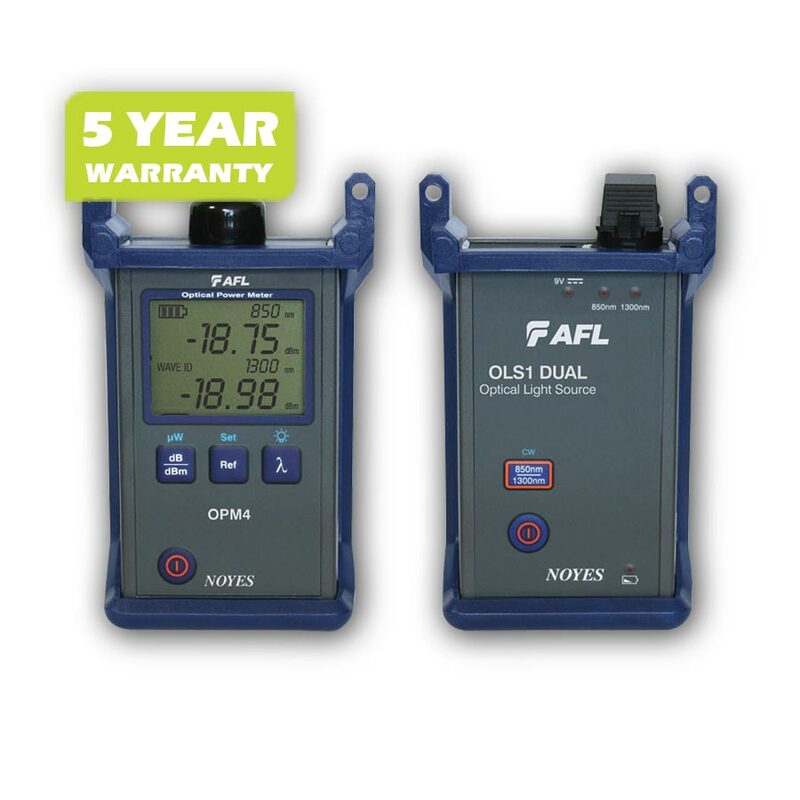 By joining the OPM 1 Optical Power Meter and the OLS 1 Optical Light Source, the MLP 1 is a great kit for beginners or network owners. 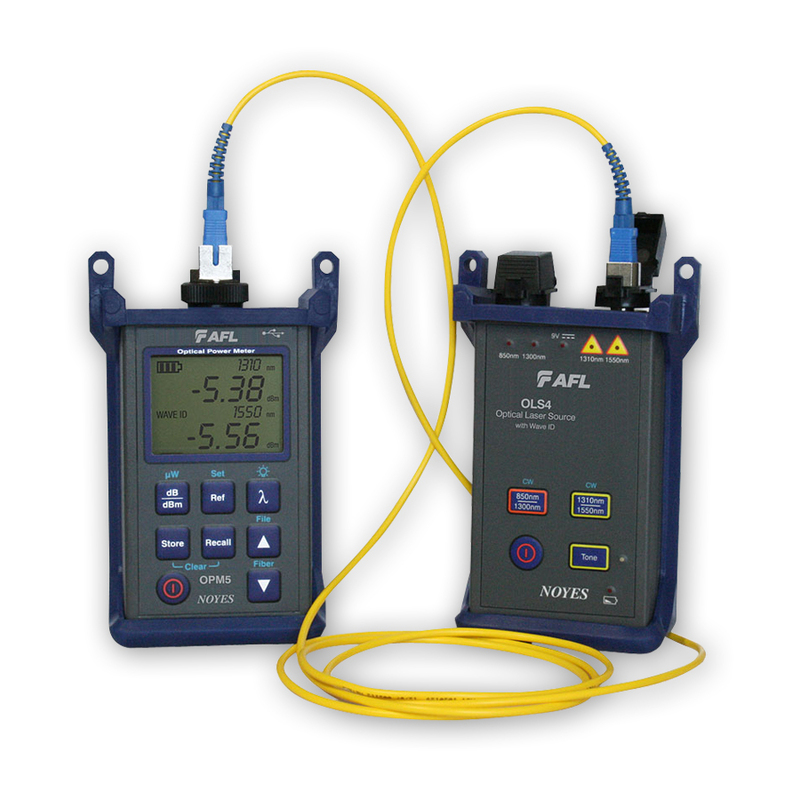 Two versions of the MLP 1 Test Kit are available for testing Premises networks, LAN, and Gigabit Ethernet. 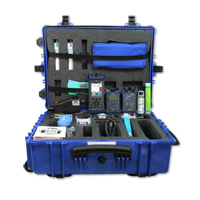 The Test Kit includes a light source, power meter, protective rubber boots, adapter cap, 50 and 62.5 µm mandrels, MLP1 user's guide, and carry case. 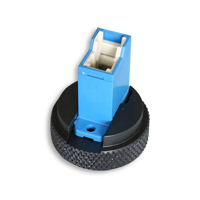 - OPM1-2C Optical Power Meter and OLS1-1C Optical Light Source. 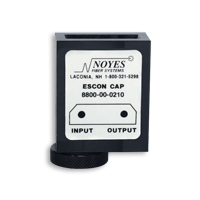 The MLP1 Test Kits are inexpensive solutions for testing multimode and single-mode systems. 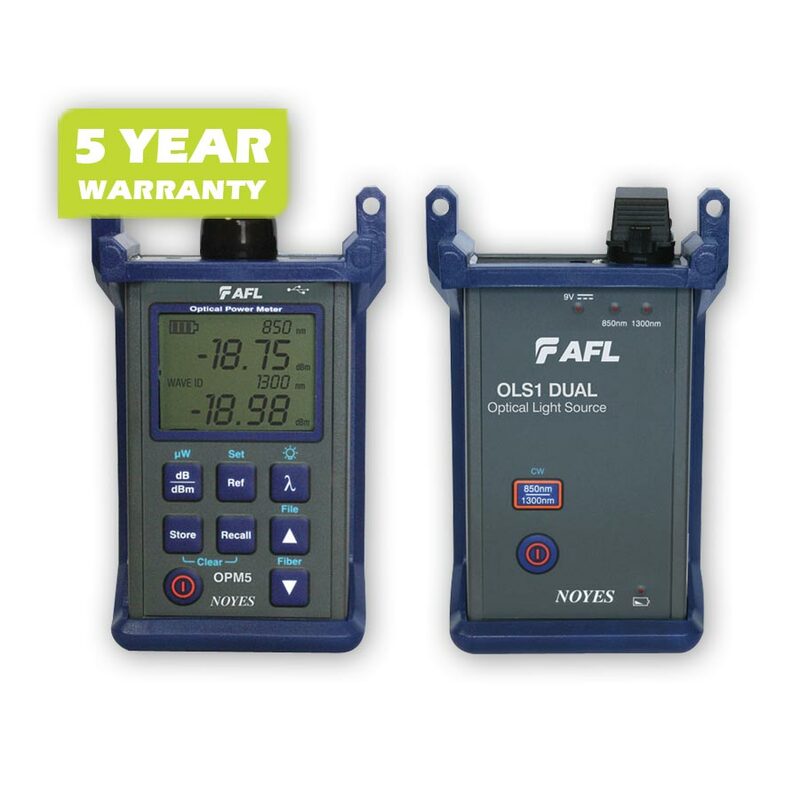 By joining the OPM 1 Optical Power Meter and the OLS 1 Optical Light Source, the MLP 1 is a great kit for beginners or network owners. Two versions of the MLP 1 Test Kit are available for testing Premises networks, LAN, and Gigabit Ethernet. 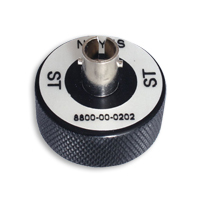 The Test Kit includes a light source, power meter, protective rubber boots, adapter cap, 50 and 62.5µm mandrels, MLP1 user's guide, and carry case. 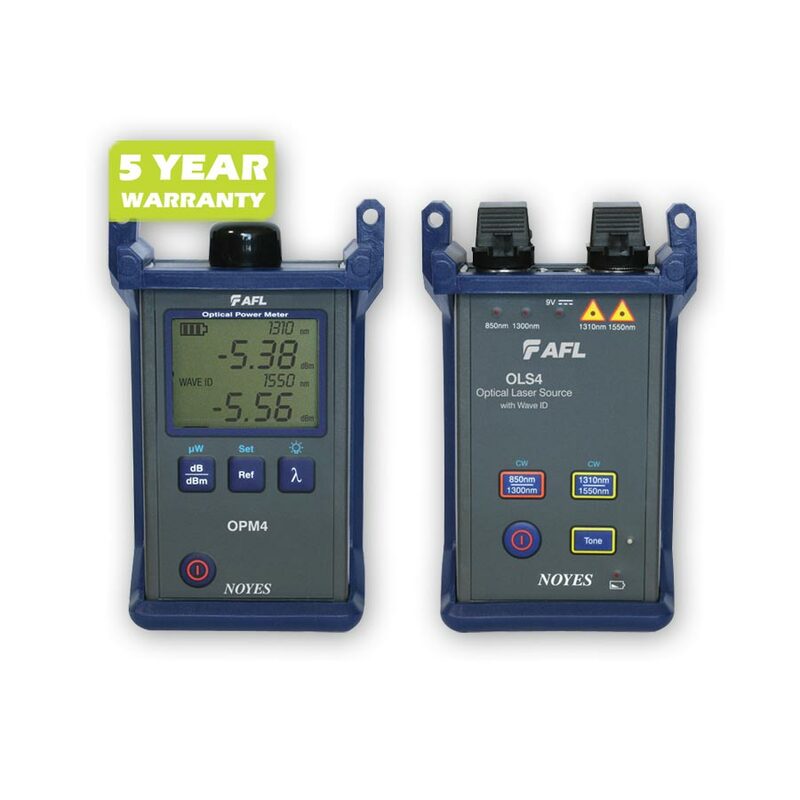 The MLP5-2 test kit combines the OPM5-2D optical power meter and OLS1-Dual LED light source and is ideally suited for testing multimode fiber optic networks. 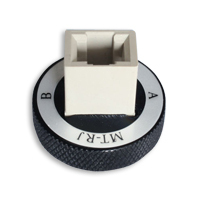 The OPM5-2D offers Wave ID, automatic wavelength identification and switching, when used with the OLS1-Dual light source. 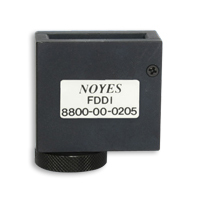 The OPM5-2D stores optical references for each calibrated wavelength. An easy to read Dual Wavelength LCD display with Backlight shows measured power [dBm or ìW] or insertion loss [dB], calibrated wavelengths, tone signal [Hz], wavelength ID, and the battery charge status. 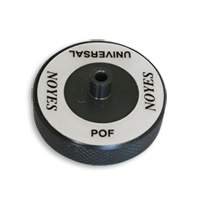 Up to 500 records per wavelength of power or insertion loss measurements may be stored in internal non-volatile memory. 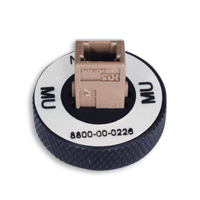 In addition to being powered by two AA alkaline, the OPM5-2D or OLS1-Dual can be powered by optional AC adapter and/or rechargeable NiMH battery pack. The OPM5-2D and OLS1-Dual are fully N.I.S.T. traceable. 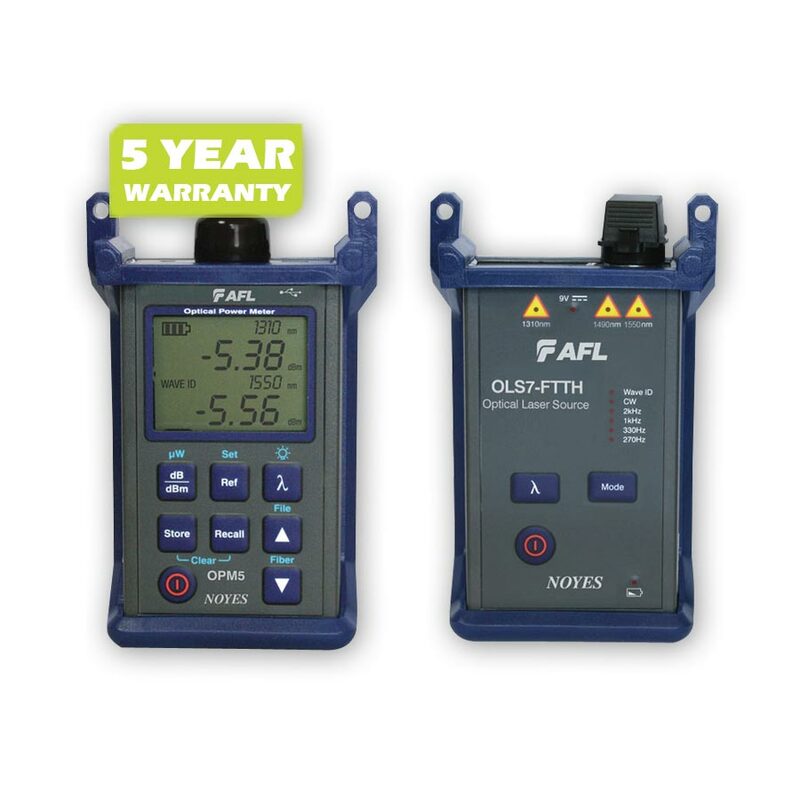 The SLP4-6D test kit combines the OPM4-4D optical power meter and OLS2-Dual LASER light source and is ideally suited for testing single-mode fiber optic networks. 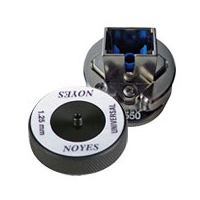 The NOYES FTK Pro Installer Kit from AFL provides a wide selection of fiber optic testing, cleaning, and inspection equipment to enable technicians to install and maintain fiber optic networks. 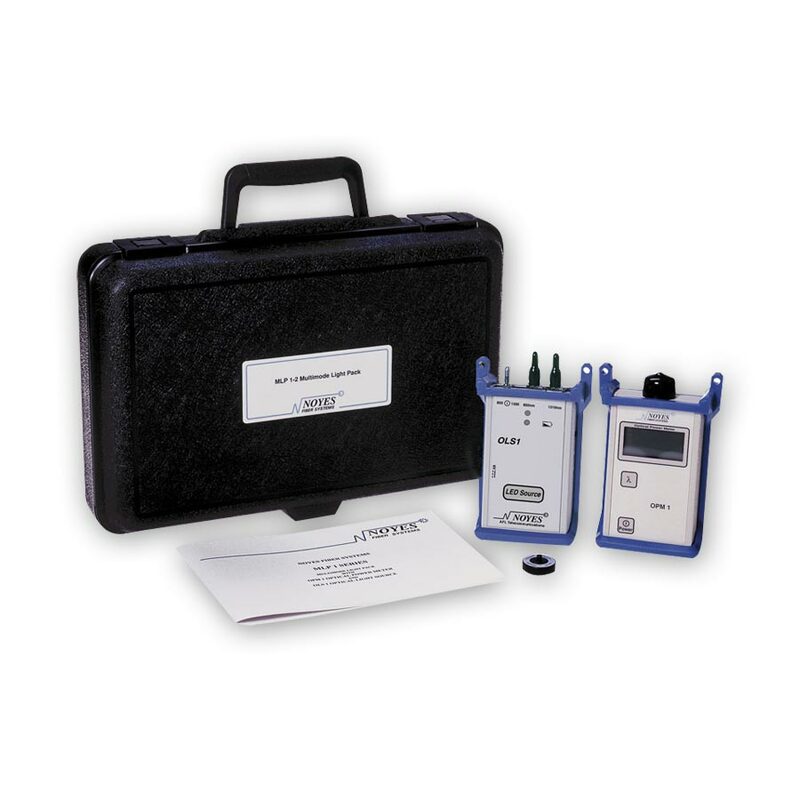 Available with multimode and single-mode test equipment, the kit also includes a broad array of cleaning and inspection equipment in a convenient tough injection-molded ABS carrying case. The Pro Installer Kit is ideal for TIA Tier 1 and Tier 2 testing of premises (building and campus) networks or certification and troubleshooting of FTTx PON networks.